William Carroll Taylor, born on February 8, 1847, was the last son of John and Eliza (Cagle) Taylor. Known as Carroll, he married Mary Christeener Shipman, daughter of George and Margaret (Hefner) Shipman. Their marriage was performed on February 13, 1868. Mary Shipman's family moved to Winston County from Gilmer County, Georgia where Mary was born on June 3, 1849. Carroll and Mary were the parents of one son: Alonzo Grant Taylor, born June 20, 1869. When Alonzo was three years old, his mother Mary died. Mary is buried in Curtis Cemetery, Winston County. Alonzo's son, Newman Taylor, remembered carrying his father to Curtis Cemetery to visit his mother's grave. Alonzo married (1) Emma Elliot and (2) Margaret Derusha Stevens. After the death of Carroll's first wife, he married Sarah Sephronia Evans, daughter of Leverette and Sarah (Brown) Evans. Sarah was born on May 9, 1855 in Heard County, Georgia. 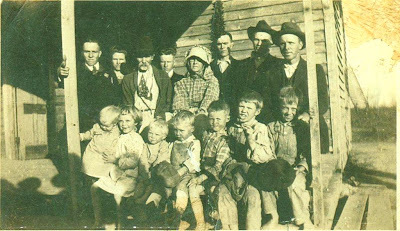 The Evans family migrated to Winston County from Heard County after the civil war ended. In a newspaper arricle published in The Advertiser in 1947, Sarah stated she was 12 years old when she came to Winston. Her family's trip took two weeks, using steer wagons. They brought along a milk cow. Accompanying Sarah were her parents and her grandfather, Daniel Brown. Carroll and Sarah were charter members of Liberty Grove Baptist Church, located about one mile from Ashridge, Alabama. The church was organized in 1881. The original building was made from logs, with a dirt floor and split logs for benches. Carroll's son, Alonzo, and Bud Cauthen later deeded the land for the property to the church. 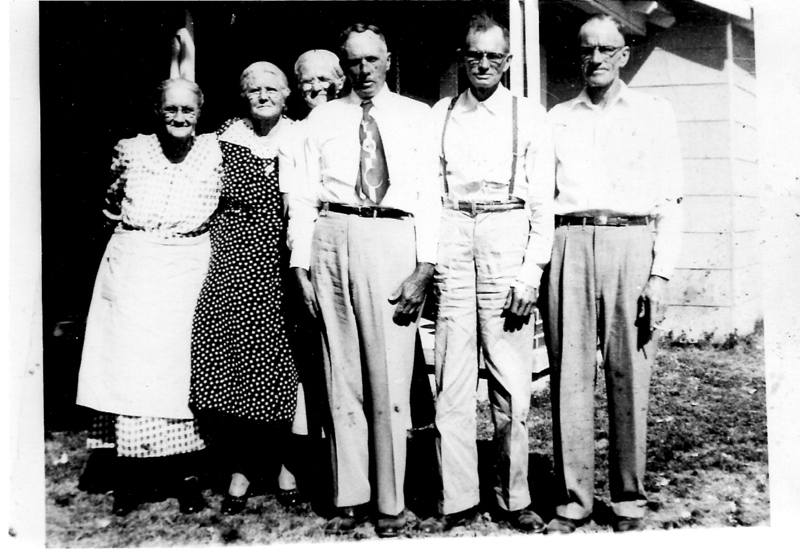 Liberty Grove joined the Clear Creek Baptist Association in 1882 with a membership of 20. Carroll was active in the church for years--serving as moderator to the Clear Creek Baptist Association. In 1916 tragedy struck Liberty Grove Baptist when a tornado destroyed it. Carroll Taylor along with others served to rebuild the church. His seven year old grandson, Newman, carried lunch to him while Carroll worked to reconstruct the church building. This story was passed down to Newman's own son, Wayne Taylor. Rocks carved from nearby stone fields were quarried by Carroll to mark the graves of John and Eliza Taylor, Andrew Jackson and Martha Taylor and other Taylor family members. The graves in the old Taylor Historical Cemetery still bear these stones. The cemetery has been renamed the William Carroll Taylor Cemetery to honor his work in marking the grave sites with these stacked stones. In the History of the Clear Creek Baptist Association, 1874-1957, by Jerry M. Burns, Carroll Taylor was described as a "Christian gentleman and deacon of high regards." Carroll died at the age of 74 on January 24, 1922. Although he was living in Lawrence County, Tennessee at the time of his death, his body was carried back to Haleyville by train and then by wagon to his final resting place at Liberty Grove Baptist Church Cemetery. His wife, Sarah, who also died in Lawrence, Tennesee, is buried at Liberty Grove as well. W. Carroll Taylor an aged citizen, formerly of this county, died at his home in Tennessee and was brought back to his home church, Liberty Grove, Tuesday for funeral at the sacred cemetery around which he had spent the best part of his life. Uncle Carroll was a good man a personal friend of the editor of this paper, and it is with much sorrow we note his departure from the walks of men. The bereaved relatives have our sympathy. 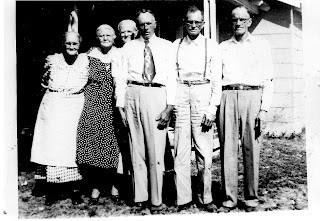 George and Margaret Shipman were my 3rd great grandparents. Thank you for sharing the story and photos of their daughter Mary Chisteener! It gives me some insight to their lives and times. Much appreciated.